So there’s one thing I hate about living in Việt Nam. Something that really gets on my nerves. It’s not quite got to the stage that I want to pack it all in and head back to good ol’ Blighty, but at the same time it drives me mad. What is it? Time difference. It is a problem which has now been exaggerated after the clocks changed in the UK meaning we are now seven hours ahead of Great Britain. That means your average 3pm kick-off for a Premier League match is 10pm here. That I can live with. It’s evening kick-offs that mess with my head. Last week I waited until 12.30am for the Liverpool match away at Arsenal and I don’t even want to talk about Champions League fixtures. Kick off 2.45am, 4.30am finish a few hours kip (provided you’re not wired after watching a great game) and it’s up and out for work looking like a zombie at 9am. But you know what? Despite my body clock telling me not too, I still do it. Why? Because I love football like crazy. Ever since my brother-in-law Dave took me on The Kop to watch Liverpool beat Altrincham in an FA Cup game on January 3, 1981, I have been head-over heels in love with the beautiful game. In the past 37 years since my first match, football has changed a great deal. Most of those changes have been for the better and improved the experience for not just the players but more importantly the supporters. For those of you wondering who Latchley managed, he was a character created by comedian Peter Cook. And a hilarious one at that. Make believe maybe, but who can argue with Latchley’s wise words? Football is just about everything to me, but I fear that the game I adore so much may be slipping away from my grasp, and I’m not just talking about time difference. 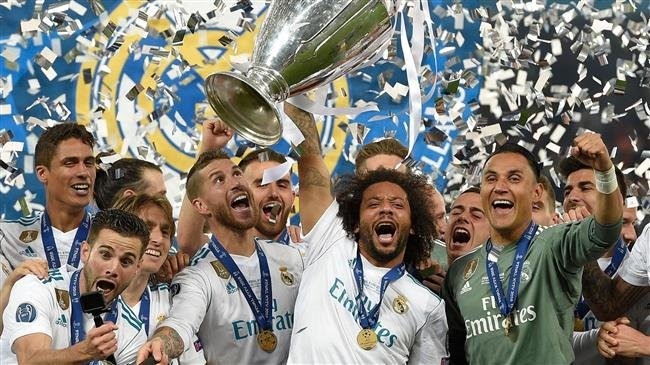 This week it was reported that the so called top 11 teams in Europe, including five from England, have been talking about creating a ‘super league’ to replace the Champion’s League in 2021. I worry that it will mean that instead of Liverpool v Burnley on a Saturday afternoon it will be Liverpool v Bayern Munich. Instead of Manchester City v Bournemouth it will be Manchester City v Barcelona. On paper they sound like mouthwatering matches, but spare a thought for the Burnleys, Bournemouths and Evertons of this world who will in all but name be relegated to a second tier. But more importantly, spare a thought for the fans who will effectively be priced out of watching their team play in the flesh. I’ve a former work colleague who ran up a ridiculous amount of debt by watching Manchester United play in Europe back in the early 2000s. He’s probably still paying off the interest on his credit cards now. He would say it was worth it. So who are the winners in all of this? TV companies will no doubt all be bidding to show the matches each week and will undoubtedly increase their subscription charges. The clubs, that already do ok moneywise, will be making more. The players themselves, or the good ones at least, will be able to demand more money each week. And the billionaire owners of the elite teams will, well, make more billions. It stinks of greed. It is unnecessary and will ruin the game for those that love it the most. This week a funeral service is taking place in Thailand for Leicester City chairman Vichai Srivaddhanaprabha who tragically lost his life in a helicopter crash last month. He did the impossible at Leicester City and turned a below average Premier League team into Champions. Some say that feat will never be repeated.